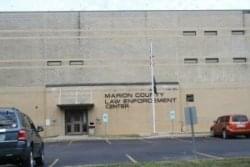 Two people were brought to the Marion County on outstanding failure to appear in court warrants on Tuesday. 28-year-old Joshua Lucas of South Pine in Centralia is being held in lieu of $10,000 bond for failure to appear on a possession of stolen vehicle charge. He was arrested by Sandoval Police. 23-year-old Nickolas Arnold of College Street in Mt. Vernon was arrested by sheriff’s deputies for failure to appear on a domestic battery charge. Bond was set at $7,500.